I recently bought a Skoda Yeti from this company.The service received is second to none. Very happy with the experience, and would recommend this company to anyone in the market for a good used car. I recently had the pleasure of accompanying my son who purchased a BMW 335i M Sport from Wynyard Motor Company and I can honestly say that in over 40 years of purchasing cars, without exception that the service provided by Greg and Ian is truly exceptional and very worthy of mention. Having traveled some 200 miles from Cambridge to view and inspect the vehicle I was overwhelmed by both the professional and courteous attitude shown by the staff and also the impeccable presentation of the vehicle. My sincere thanks must go to Ian on this occasion for answering our many questions. I highly recommend Wynyard Motors for your future vehicle purchase, you won’t be disappointed! If ever a Motor Company deserved a 5 star accolade it must surely go to Wynyard Motor Company! Excellent all round service gentlemen, well done. Having purchased a car recently from Wynyard Motor Company I would like to say that in over forty years of purchasing cars I have found the experience at Wynyard truly exceptional! Previous experiences at the hands of 'pressure salesmen' has mainly left me un-fulfilled with the experience. Absolutely not so, there at Wynyard. Greg has been terrific, absolutely professional, courteous and above all a genuine person! Congratulations Greg in your great business, your brilliant staff and indeed the impeccable presentation and value of the Merc CLS I purchased. I can't recommend this special business enough. After recently purchasing a car from another well known dealer and recieving a not so great experience,I decided this time I was going to try wynyard motor company.i had my eye on a merc and had to go and see it in person, I never once felt pressured into buying and signing anything.wynyard motor company and Greg himself where great,all the cars are of a very high standard and it would recommend to anyone to go and pay this company a visit. I got the car I wanted at a very good price and a very good deal to suit me. After purchasing my merc I noticed there was a slight noise from a belt,(wear and tear) I told Greg with no questions asked it was straight in for repair,I myself will 100% be using this company again great bunch of people and a great company ! Thanks Greg . 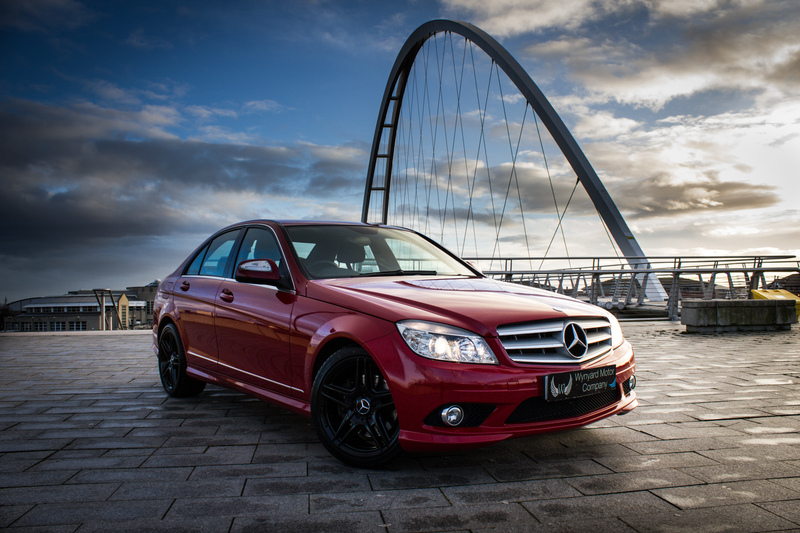 Having being a bit sceptical of second hand car dealers due to a bad experience in the past I can honestly say that I would highly recommend Wynyard cars to anyone looking for a prestigious car. Especially dealing with Greg. He didn't jump all over my husband and I when we walked into the showroom and he gave us chance to walk round and take a look at the cars. Not only did we purchase one car from Greg but we ended up purchasing two. I can truthfully say that the whole experience of buying cars from this company is impeccable from start to finish and Greg is an absolute pleasure to deal with. So worth anyone going and having a look if your thinking of buying a car as they are very reasonable on price too. Can't thank Greg enough. I recently bought an Audi A3 from Greg and I’m delighted with the car. Greg and his team provided an excellent service and I highly recommend them. I was very impressed with how clean the car was (looked like new!) and they didn’t push the sale (there was no need – the car was in great condition). I love the car and would definitely buy from them in the future. Bought a fantastic BMW of the guys from Wynyard. Thanks for the car and a big thank you to the valet guy getting me some new mats!! Will recommend !! Greg and his team were extremely helpful and professional. We are very pleased with our Land Rover Discovery. Would highly recommend this company. Thanks again guys!!! Bought a Lexus 220 off Greg a couple of months ago - great guy..very accommodating & so helpful! Bought a merc a few months ago, people are fantastic and good aftersales, had little problems with a sensor and got sorted straight away . Great to deal with - I bought the car with out seeing as I live over 200 miles away - Collected me from train station, car was described car as it was and took away the same day. Easy to deal with.